How To Make The First Move On Your Crush Without Being Obvious! We always get awkward around our crushes or prospective boyfriends. We don’t know what to say, what to do - but still want to talk and do something to get their attention! The struggle is way too real. Here are 7 ways you can make the first move without feeling too awkward! State something obvious or talk about something you were both part of. For example if it’s a colleague you are crushing on, just start a conversation by saying ‘X is hilarious, still can’t get over that thing he did!’ or ‘It’s really a slow day’. Just something you can both relate to and have in common. This is especially for those shy girls who don’t know how to go about it, because you don’t want to be awkward. Start with an interesting conversation. Smile. And just be confident being the person that you are! Always maintain eye contact while talking. This shows confidence and honesty. And trust us, guys find these traits really attractive. Also read: Dear Crush, 9 Times I Was *Actually* Trying To Flirt With You! Give little cues to him. Just touch his arm gently while talking to him. You don’t need to be all out there, but a little friendly touching never hurt. Try asking him/her what they are doing after work or on the weekend - and try to meet up even if it’s in a group. This way he could see your fun side. 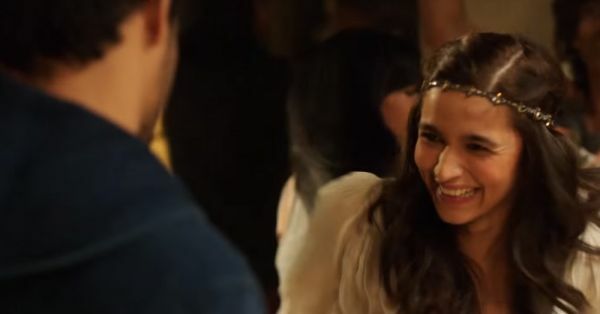 Also read: How To Flirt With Your Crush – 12 Things That Actually Work! Social media can definitely come to your rescue in this situation. See the kind of stuff he likes or follows on FB or Instagram. This just gives you a whole lot of new things to talk about.